We’ve actually had a couple of reasonable days this week with the recent heavy rain coming overnight last night and tomorrow sees the sunshine continue. 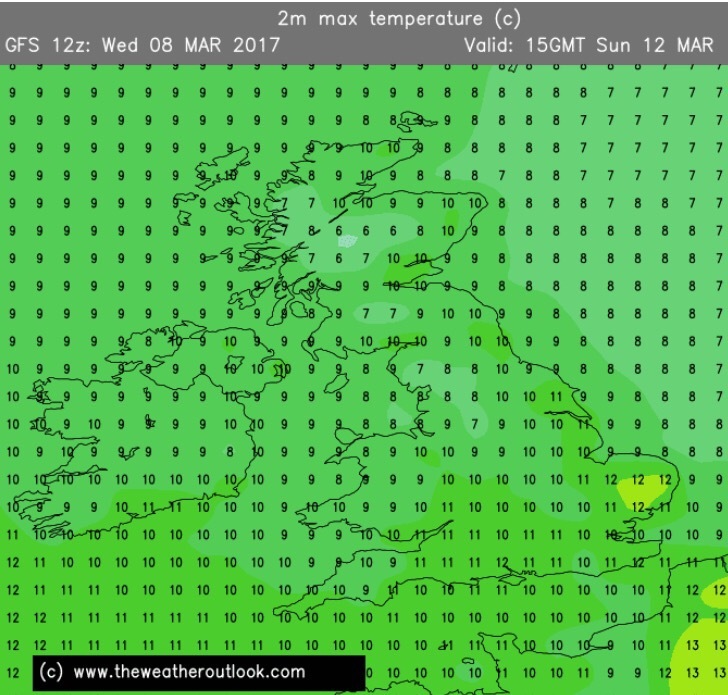 Looking ahead: Little change at first with similar temperatures and some showery rain. Later in the week perhaps a few days of drying conditions. This entry was posted in Weather Forecast and tagged Bury, Manchester., Oldham, Rain, Rochdale, Spring, Weather, Weather Forecast, Weekend, Wet by Oldham Weather. Bookmark the permalink.